Only the foundations of the walls remain today. 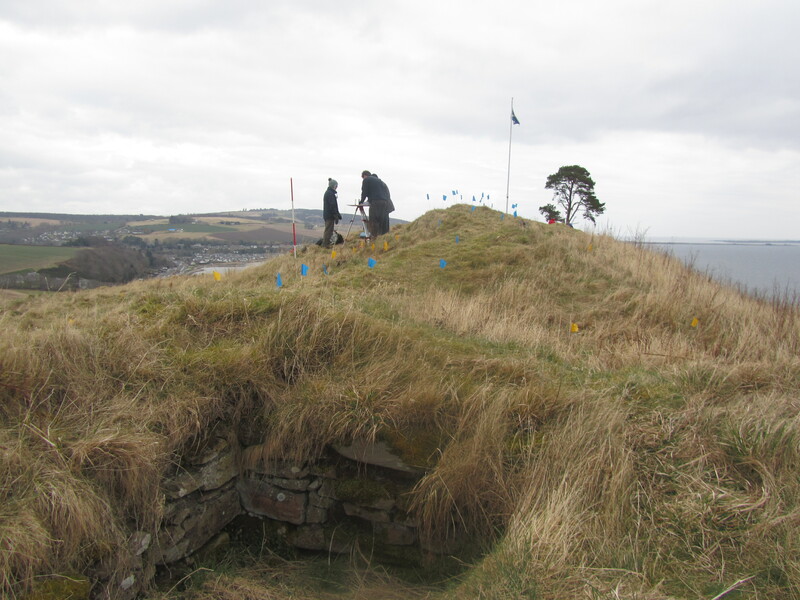 The HES scheduling document for the site states that “the monument is of national importance because it is a fine field monument of a type rare in Scotland; it is said to have been one of the royal castles built c.1179 and …… the clearly defined remains have the potential to increase understanding of 12th century fortification techniques and military history.” Also of interest are the ditches and banks around the northeast side of the site, reminiscent of those found on some Iron Age forts and suggesting the possibility of the site having had earlier occupation. In 1883 the castle was investigated by Angus Beaton (see his notes in PSAS), but the excavations carried out remain unpublished and the plan produced was inadequate. A further sketch was drawn in the 1960s, but it too is not very detailed and does not give an indication of the complexity of the site. 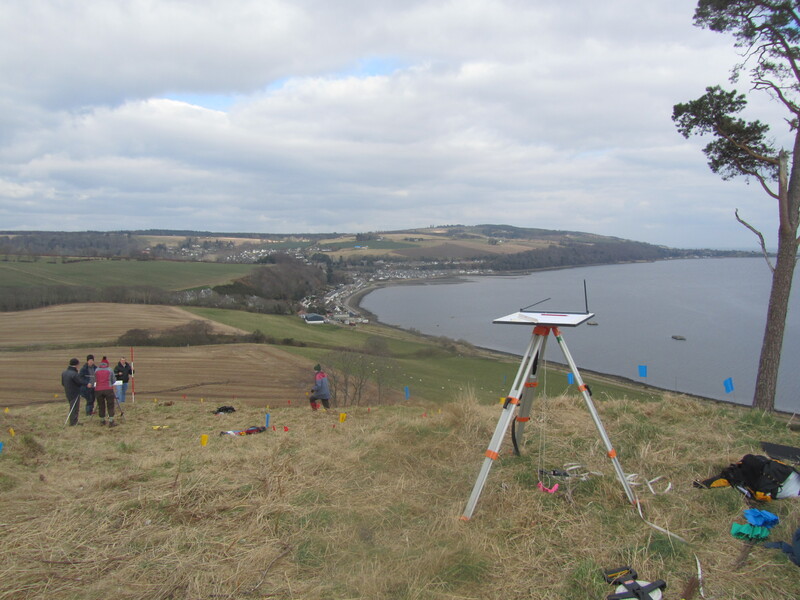 Our task to carry out a measured survey using planetables was ambitious; not only was the site complex, but it was also big (150m x 65m), covered in thick vegetation and had considerable height discrepancy. 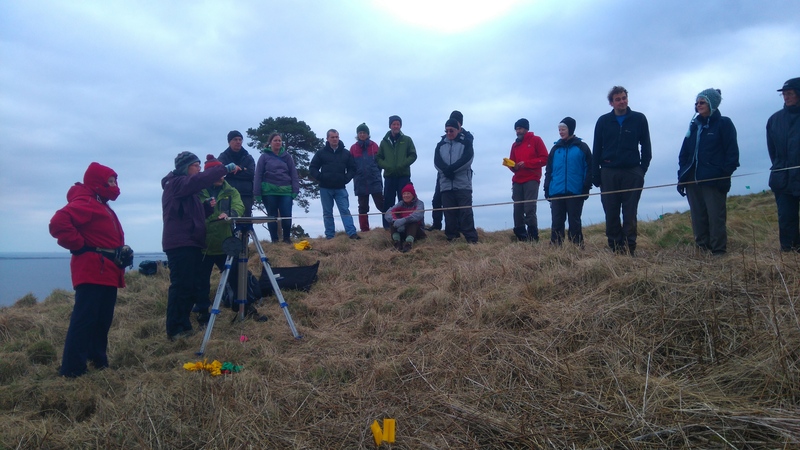 The local ACA folk were enthusiastic making a good job of clearing the vegetation and on a calm but cold weekend in March 20 people, from both NOSAS and ACA, gathered at the site. Many had no experience of using a planetable but, after some training, they quickly got into the way of it and the task was completed in 2 days using 5 planetables. Nine PT stations were needed to cover the site and these were carefully linking together on the drawings. Inevitably the height variations meant that the PT positions were not quite correct in their relationship to each other, but this was overcome by making adjustments at the “drawing-up” stage of the plan using the processed aerial photographs taken from a quadcopter flyover on the second day. 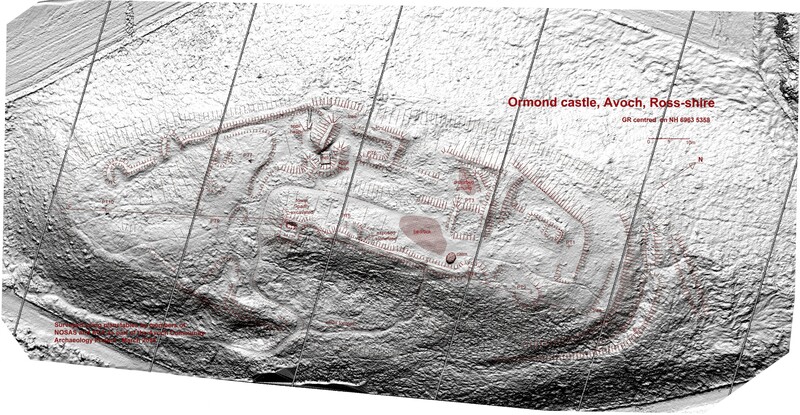 The flyover also produced some impressive 3D images of the castle and its features which gave a greatly enhanced overall picture of the fortification (see video below). 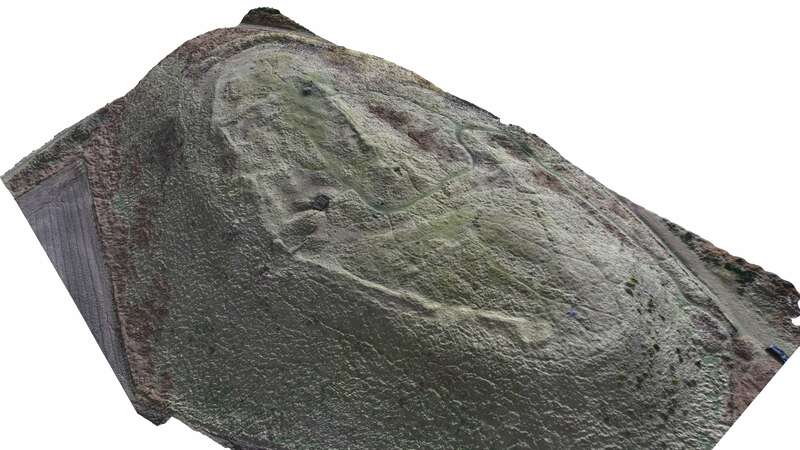 These images also revealed a few more features which we were able to fill in “by eye” on the two return visits which were needed to verify and adjust the drawing. This survey was only part of the first non-invasive phase of the Avoch Community group project; we wish them all the best with their future plans and look forward to working with them again. 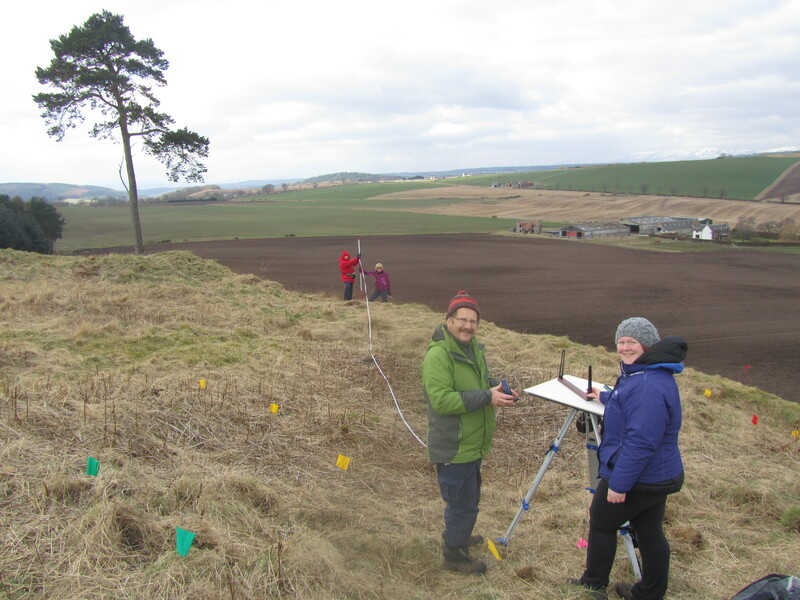 Meryl’s article has also been published in an Archaeology Scotland booklet. Further info on the project can be found on the ACA website http://digavoch.co.uk/.